Ufone is one among top telecom operators working in our beloved country Pakistan. It is also the first telecom operator working in Pakistan since the 90s. 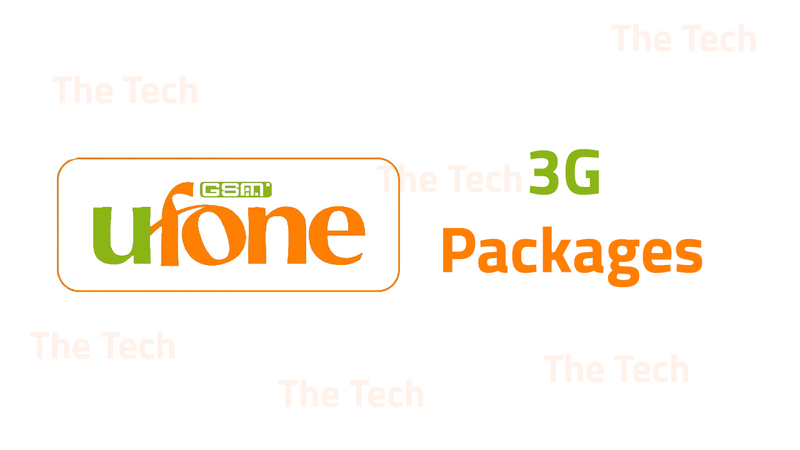 Ufone was an early adopter of 3G spectrum in Pakistan when it was auctioned back in 2013. The company is providing several Ufone Internet Packages available on Daily, 3Days, Weekly and Monthly basis. The company has revised its 3G internet bundles in 2017 and also a tax imposed on these packages. They also announce new Ufone 3G packages and social bundles from time to time. I will be updating this post as soon as new packages are announced by the company so keep visiting. The Ufone Internet Packages are mention below including Ufone Daily Internet Packages, Ufone weekly internet package, and Ufone monthly internet package. All necessary details of Ufone net Packages for Ufone customers are mention below. Here are four Ufone daily internet package provided by Ufone to its customers including Pricing, Volume, Validity, Subscription and Unsubscription details. Daily Light Bucket is available in Rs 11 and 40MBs data is provided when you subscribe to ufone daily internet package (light bucket). All necessary details you might be looking for related to ufone daily internet package (special bucket) are mention below. All necessary details you might be looking for related to ufone daily internet package (Mega Internet Bucket) are mention below. There is only one Ufone Internet Package for 3 days and details of it are mention below include all necessary details. There are three Ufone weekly internet packages available for Ufone users, Super Internet, Weekly Light bucket and Weekly heavy bucket. It is part of Ufone Internet Packages. The details of three Ufone Weekly Internet Package are mention below. I mention details like Price, Volume, Freebies, Timing, Validity, How to Subscriber and How to Un-Subscribe. Upon subscription of Ufone Weekly Internet Package (Light Bucket) you will get 250MB in 50 rupees for 7 days. When you subscribe to Ufone Week Internet Package (Heavy Bucket) you will get 500MBs in 125 rupees for 7 days. There are three Ufone Monthly Internet Packages and details of Subscription, Volume and Timing are mentions below. When you subscribe to Ufone monthly internet package (1GB) you will get 1GB data in 250 rupees for 30 days. When You subscribe to ufone monthly internet package (10GB) you will get 10GB data in 1000 rupees for 30 days. There are several social bundles available for Ufone’s customers to keep them connected with their friends and family. Simply dial *3# to select your desired Ufone internet package and subscribe it. If you think I have missed something related to Ufone internet packages or you want to add a new comment below. Next articleWhy Do You Need A Great Phone This Cricketing Season? U had to unsubscribe from previous package by calling ufone helpline. It would be a good idea to write a letter to PTA about it. The PTA mandate is to work for the consumer. bro its for month r week??? is it neccessary to unsubscribe daily bundle or it is done auomatically?? you can deactivate Daily Light bucket by dialing *2257# free of cost.